Founded in 1976, Memphis magazine will be celebrating its 35th year anniversary in 2011. Thanks to dedicated local ownership and a staff committed to journalistic excellence, Memphis magazine has established a tradition of independence and editorial quality second to none in the Mid-South. Memphis magazine has won scores of national and regional awards for editorial excellence and design including the General Excellence award from CRMA in 2008 and 2009 as well as the Society Of Professional Journalists’ Distinguished Public Service Award in 1984. 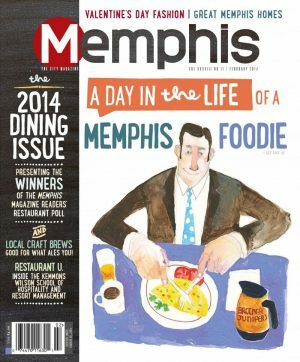 (Memphis magazine is the smallest circulation magazine ever to have won this prestigious honor). We have a history of enlightening, informing and entertaining our readers. The combination makes for the perfect Memphis read – and a must-buy for those advertisers wishing to connect with the Memphis area’s most influential, affluent, educated and discerning consumers.